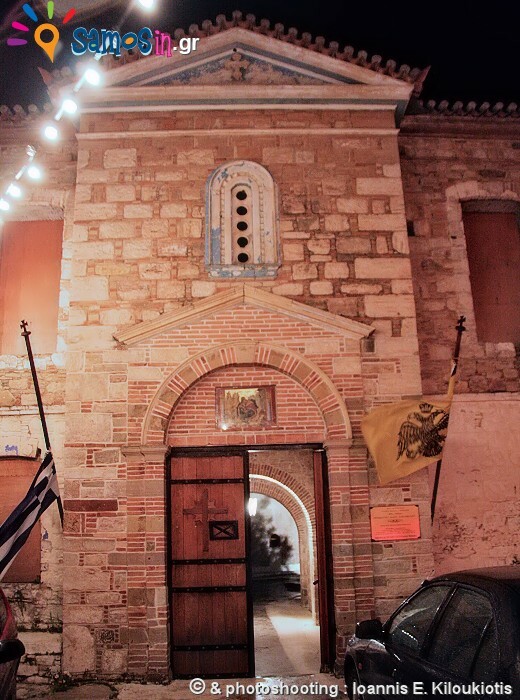 The ‘monastery of “Profiti Elia” (Greek Προφήτη Ηλία = Prophet Elias) was founded in 1625 by the monks Neofilos and Gregorios, who were monks in “New Monastery” of Chios. 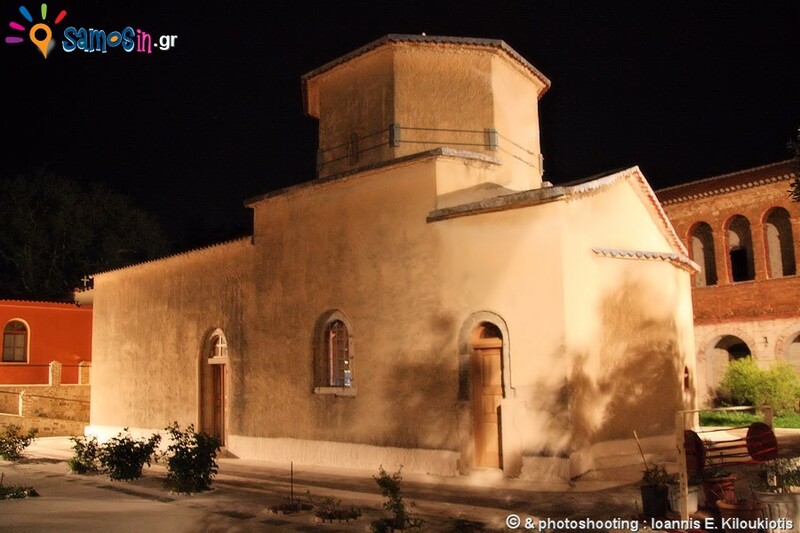 In the early 17th century mr. Nicholas Iakomou (Greek Νικόλαος Ιακώμου) from Karlovasi town, he had built a church in honor of Prophet Elias, in the same place that the monastery is. 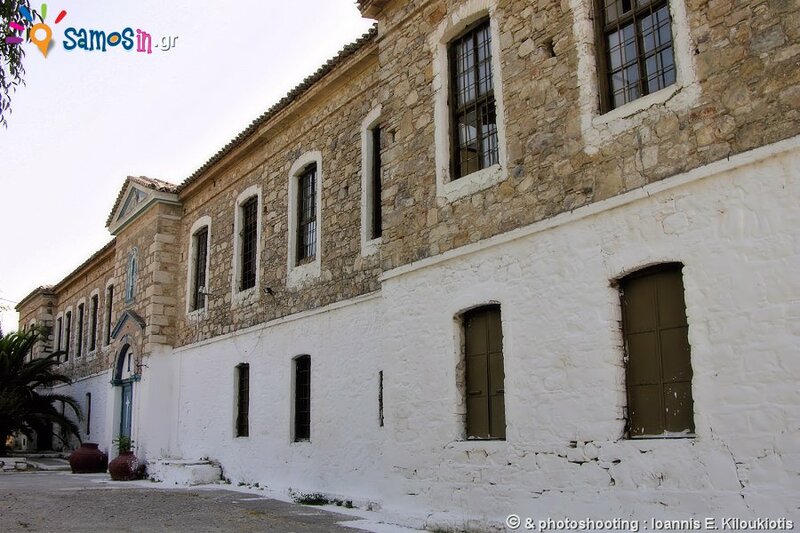 Later he moved to Chios, to reside there, but his love to the Christianity (he became a monk later), led him to donate his church of Prophet Elias, to two monks Neofilos and Gregorios, of the “new monastery” of Chios. 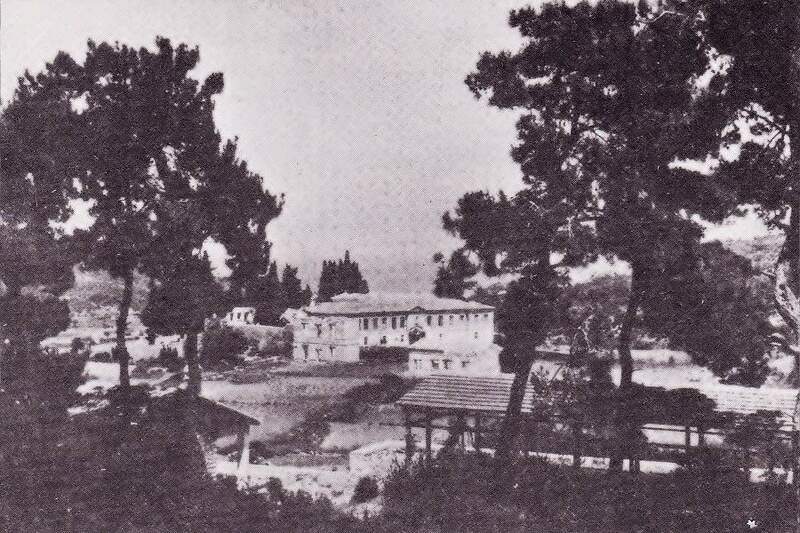 Later the giver Nicholas Iakomou became a monk at the “new monastery” of Chios and renamed as Nicodemus. 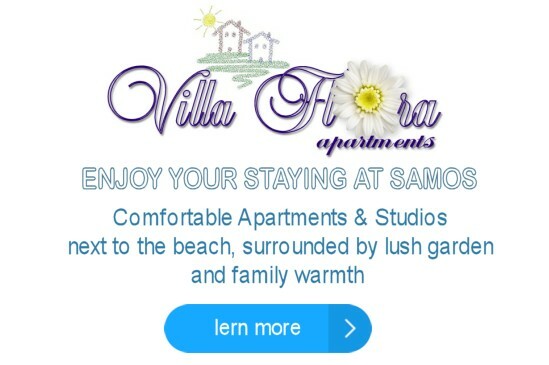 After the donation of the church, the two monks came to Samos and settled in the church area. Initially construct some huts to meet their housing needs, but also to attract other monks, then demolish the existing church and build a new greater, more comfortable and sturdily and so the history of the monastery begins. 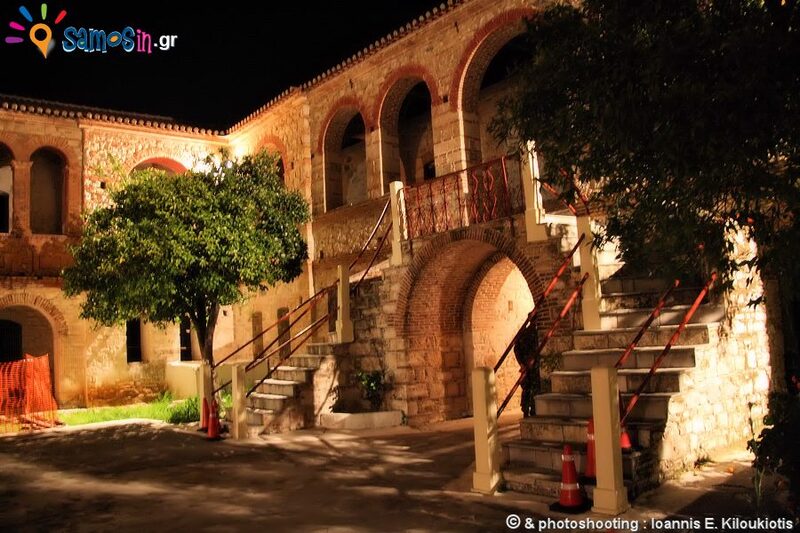 In their wills, the two monks gave the monastery to “new monastery” of Chios. The current church at the monastery was built in 1739 and is type single “aisle vaulted basilica with a dome”. The church had remarkable frescoes which were destroyed with time, for the most part. Today few survived, one at the Holy Sanctuary and four in the rest of the church. 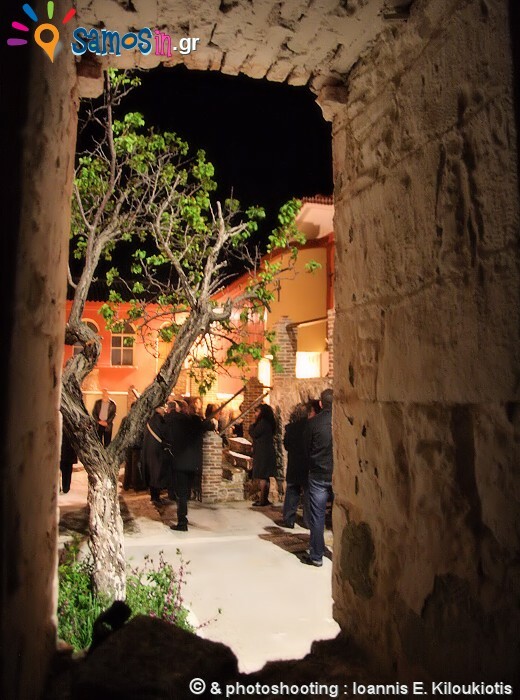 Funding for the frescoes construction, was done with money that found randomly, during crop of field that belonging to the monastery, in “Petalides” region (between Karlovasi and Ag.Konstandinos village). Before existing frescoes were others which were made in 1787 by the artist Ioanni Samio. The iconostasis of the church it’s beautiful work of woodcarving art, which was created by Giakoumi and his assistants Konstantino and Manuel from Chios in 1739. Remarkable are and the portable icons of the iconostasis, like the icons of Christ, Virgin Mary, St. John the Baptist and Prophet Elias which is silvered since 1804. 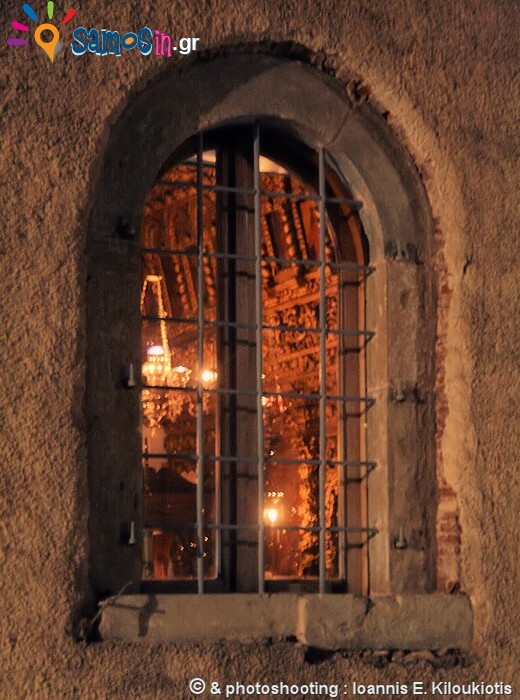 In the middle of the floor of the church there is a marble slab, on which are carved the two-headed eagle, the protoplasts, human skull and cross bones. 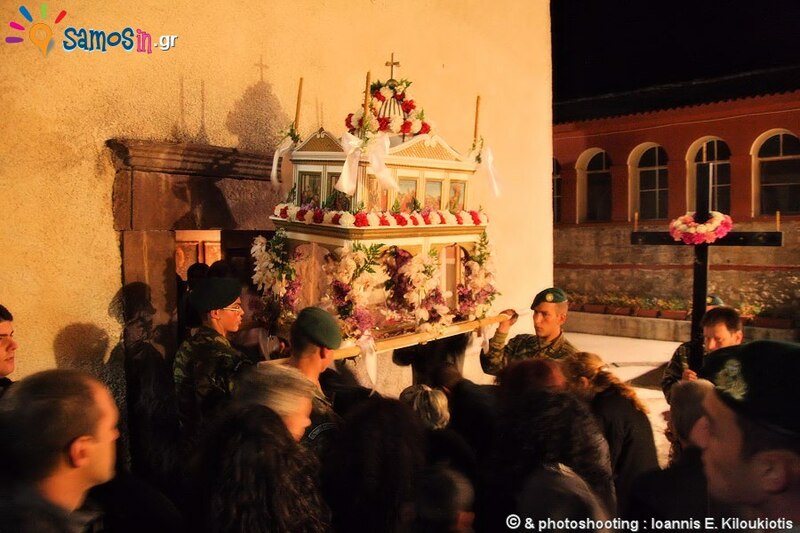 Beneath the marble slab are situated human bones, which probably belong to the founders of monastery monks Neofilos and Gregorios. The library of the monastery contains fairly books Patriarch letters, Imperial chrysobulland, and few manuscripts, the most important of these is the manuscript gospel in membranes and the Bible of 1518. 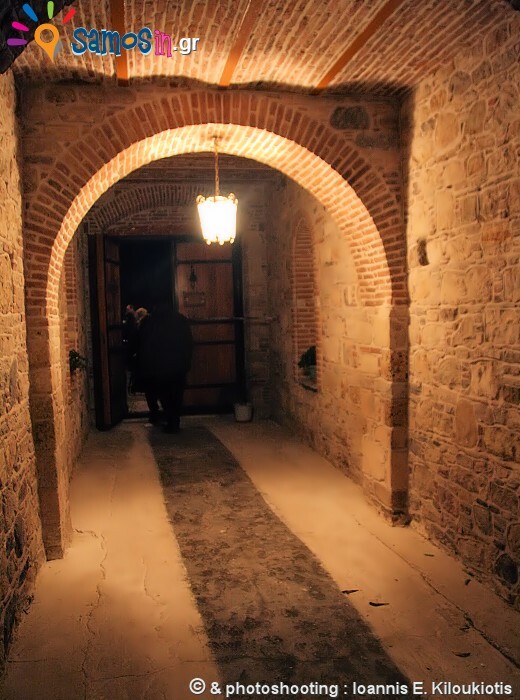 The monastery was closed, without any monk for many years, around 2008 was renovation and was staffed with one monk. Access is free to the public. 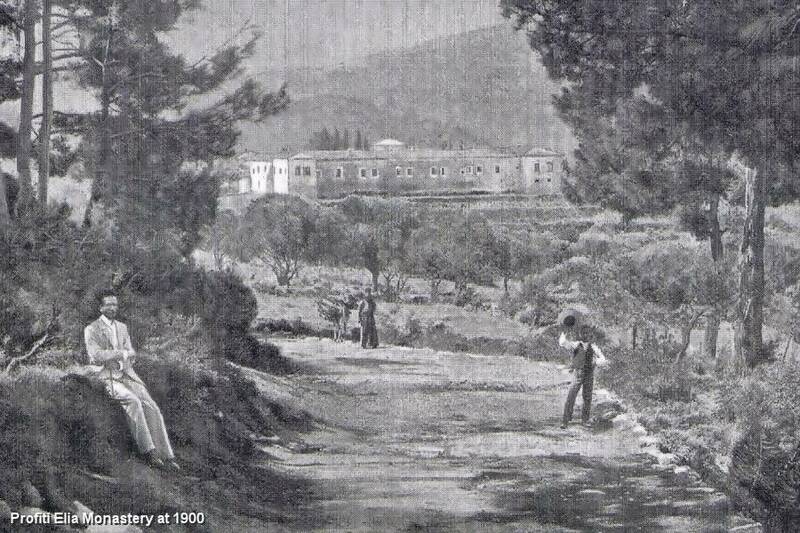 Entrance to the monastery is allowed only when properly dressed, with decorous clothing.